McALLEN — A federal judge here deferred to rule on an order preventing the separation of children from parents charged with a misdemeanor after a change of policy from the Trump administration. At a hearing Thursday afternoon, U.S. Magistrate Judge Peter E. Ormsby ultimately declined on entering an order, citing President Trump’s executive order, U.S. Border Patrol’s assertion that they would stop referring illegal entry cases involving parents who crossed illegally with children, and the government also refraining from referring those cases for prosecution. “Based on the information being presented by the government and what we’ve seen already, it doesn’t look like this situation will happen again,” Ormsby said during a 20-minute hearing Thursday afternoon. This was the second hearing Ormsby held on the matter after learning that a Honduran woman was separated from her 16-year-old daughter upon being given a time-served sentence in late May. Just hours earlier, senior U.S. Customs and Border Protection officials confirmed that Border Patrol would stop referring migrant parents for criminal prosecution after crossing into the United States illegally with children — effectively ending the “zero-tolerance” police U.S. Attorney General Jeff Sessions announced in mid-April. Email requests to local CBP and Border Patrol officials regarding this policy shift went unreturned as of press time. 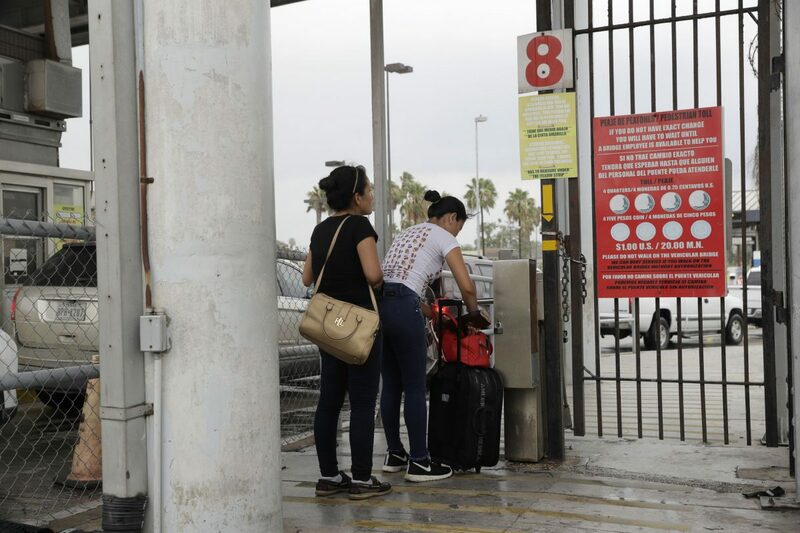 The Honduran woman in question, Damaris Margolin Hernandez-Chacon De Figueroa, was given a time-served sentence on May 23, two days after she and her teenage daughter were detained attempting to enter into the country illegally near Hidalgo. After her court proceedings, the woman was sent back to the processing center only to find that her daughter had already been moved to a detention facility in the Rio Grande Valley. Since then, the woman has asked for asylum and is pending the outcome of that proceeding in a detention facility in Washington state. Azalea Aleman-Bendiks, the attorney with the public defender’s office who represented Hernandez-Chacon during her criminal proceeding, said Thursday marked 30 days since the Honduran woman last saw her 16-year-old daughter. Hernandez-Chacon continues to await a decision on her asylum claim in a detention facility in Tacoma, Washington while her daughter remains in a San Benito detention center, according to Aleman-Bendiks. The attorney also said that, by her calculations, somewhere between 800 and 900 kids from the McAllen division had been separated from their parents since the zero tolerance policy began. The change in course at the U.S.-Mexico border comes a day after President Trump signed an executive order ending the practice of separating children from their parents, instead holding families in detention together while they await criminal and potential immigration relief proceedings. Thursday marked the second day in a row that the Office of the Public Defender only saw cases in the morning — about 60 on Thursday morning and roughly the same amount on Wednesday. Previously, the average was about 180 such cases per day, split between a morning magistration and one in the afternoon to take into account for the limited space inside the courtroom. There were also several reports that 17 defendants’ cases had been dismissed Thursday morning in this very courtroom, but the U.S. Attorney’s Office for the Southern District of Texas denied this in a tweet Thursday afternoon, citing U.S. Attorney Ryan Patrick. Instead, Border Patrol called prior to the official magistration and removed 17 defendants who were “heads of households” from the original list of about 77 defendants sent earlier that morning, according to multiple anonymous sources in the public defender’s office who were not authorized to speak on the matter. Technically, because Border Patrol officials called to advise that they changed their mind and were not pursuing charges on those 17 “heads of households,” the defendants never officially stood before the magistrate judge. The government, represented by Assistant U.S. Attorney James H. Sturgis, addressed this issue on the record during the hearing. Sturgis said because those defendants were not referred for prosecution, there were no charges to have dismissed. The remaining 60 defendants who were before Ormsby for petty-offense charges, were sentenced to time served Thursday and did not have a child with them at the time of their arrest. Aleman-Bendiks said all 17 defendants had been separated from their children, some for at least three days now, and did not know in what detention facility they had been placed by the Office of Refugee Resettlement. Thursday afternoon an official with the Pentagon said they had agreed to provide housing for up to 20,000 migrant children detained after crossing illegally into the country. This story was updated with the full print version, published Friday, June 22.